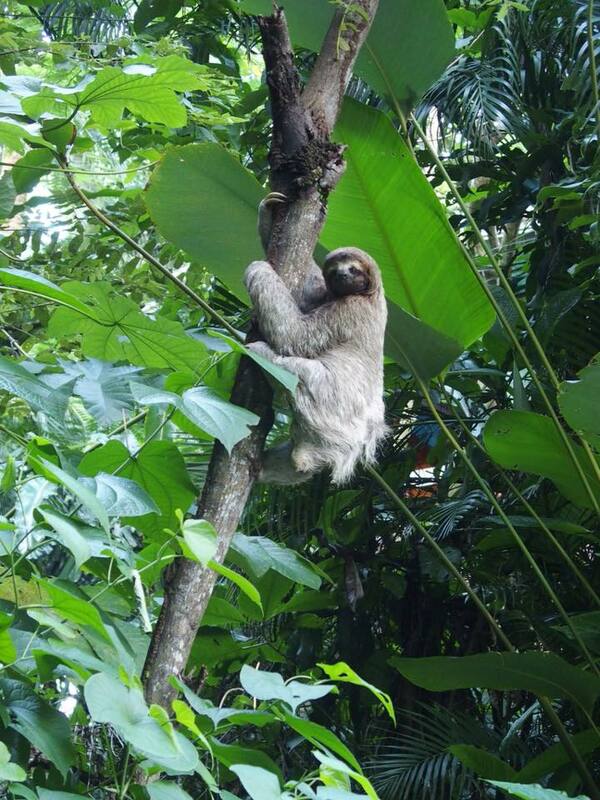 Costa Rica is where we fell in love with sloths. And that is not a joke :) The wildlife was amazing and something we will never forget. 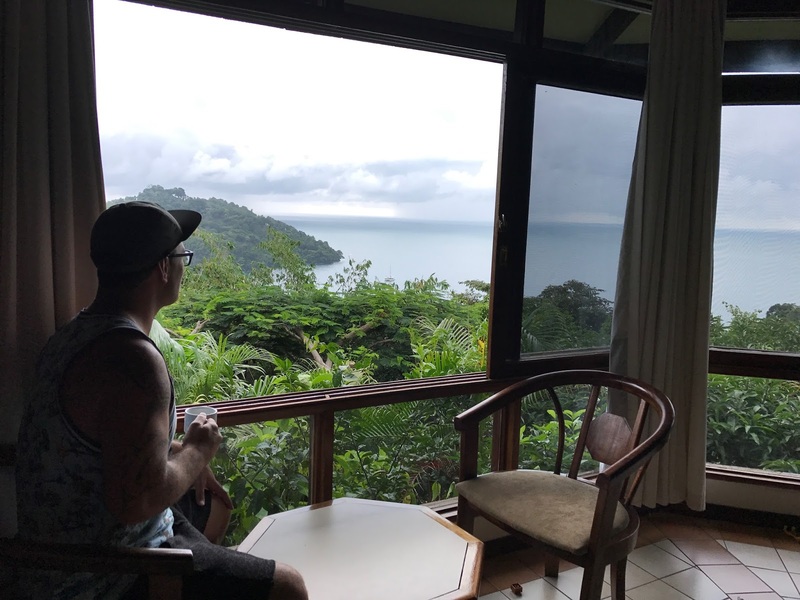 Costa Rica is green, lush, and full of natural beauty. The wildlife-snakes slithering in front of our feet and devouring a frog, a python in a tree, 50+ monkeys swinging from tree to tree around us to find more fruit, sloths making their way slowly down the tree to poo, macaws talking to each other while you have a foot massage, toucans, a scorpion in our room, bats chilling outside our door, sloths and iguanas on the side of the road, and so much more. Arenal-this is where the hot springs and Hanging Bridges are, as well as Arenal volcano and lake. It is quite a popular tourist area. There are a lot of different options for accommodation. We chose to stay in the Volcano Lodge and Springs, mainly for the private thermal mineral spa and volcano view. Perfect for when Lilah napped and went to bed at night. The thermal springs around Arenal-the perfect end to a day hiking. We stayed at a thermal spring resort which had a swim up bar and visited other hot springs, there are so many! The rainforest hikes-Arenal Hanging Bridges were so high up and looking down to the rainforest and streams of water below was breathtaking. 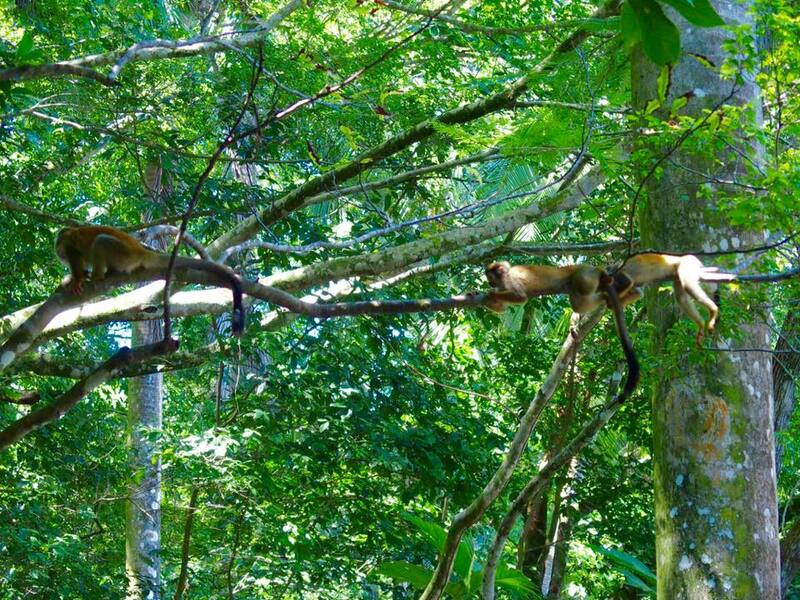 Manuel Antonio National Park is renowned for its vast diversity of tropical plants and wildlife. 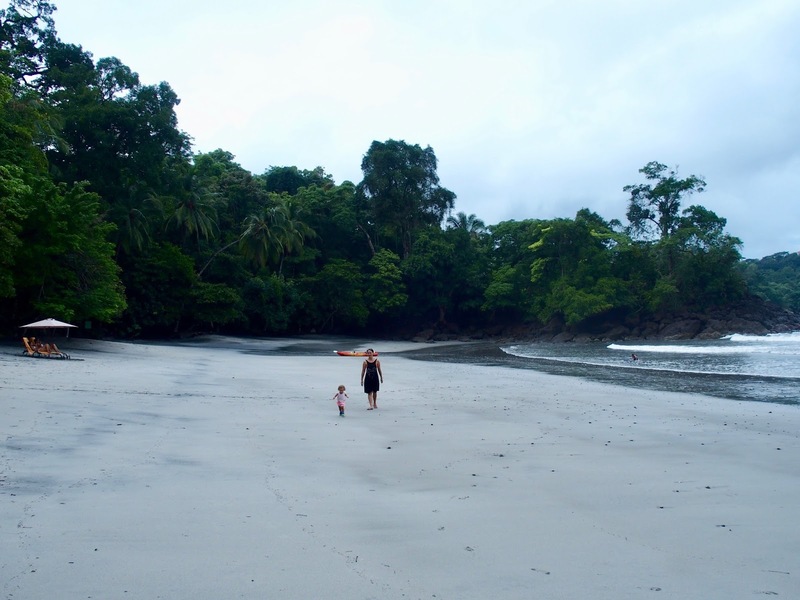 Playa Manuel Antonio was named one of the top 25 beaches in the world by TripAdvisor 2017. 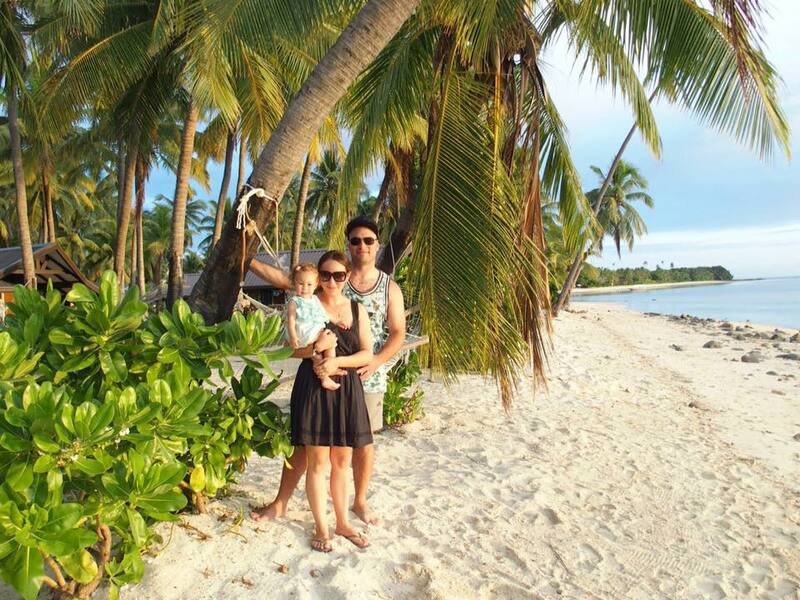 It is something else walking out of the rainforest to a beautiful beach. We stayed at Tulemar Resort which has the highest density of sloths in the world. It was here that we fell in love. Tulemar is rated number 9 in the lineup of best hotels in the world by TripAdvisor 2017. The wildlife in the resort was like being in the national park. 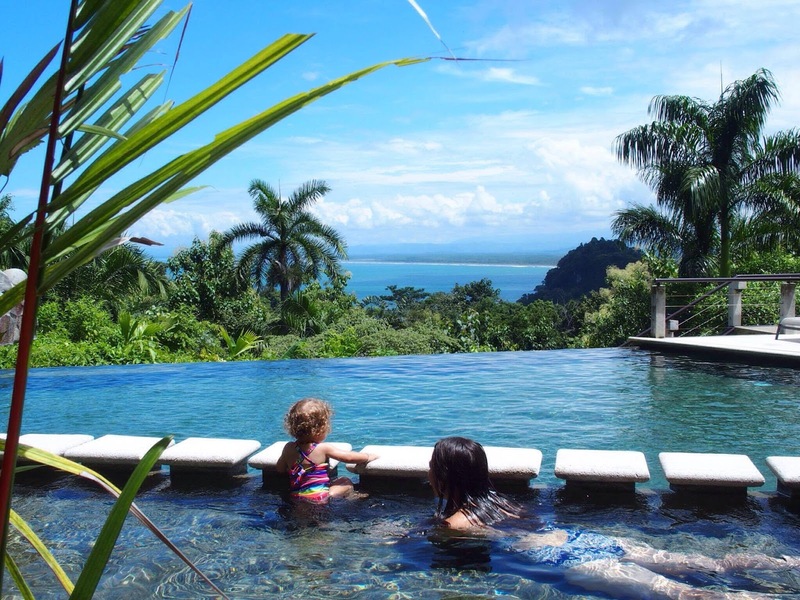 Tulemar comes complete with a beautiful private beach, our bungalow had panoramic views of the rainforest and ocean, infinity pools (child one included), a spa, restaurants, walking trails, and a concierge. Border crossing from Nicaragua-we read beforehand that it can get very busy (especially during local holidays and weekends). We drove to the border from San Juan Del Sur (Nicaragua) in the morning and were able to cross with no lines at all. On the Nicaragua customs side, you will need to pay USD $1 to enter the customs zone at a small booth and USD $2 to the border agent. We were advised that it is easiest if you have USD available for this. Crossing the border is about a 15-minute walk where your passport will be checked again by guards. There are people on bikes who can help you with luggage. We paid a small fee at the Costa Rica customs and that was it. Car Hire-we hired a car with National and they were an excellent company with quality customer service. Strangely you pick the car up between the two borders (we did not realize this and luckily were able to backtrack to get our car). Also make sure that you select Penas Blancas Costa Rica for your pick up as apparently we had selected Penas Blancas Nicaragua, which is before the Nicaragua border. Thankfully this was not a major issue. With our itinerary, we did not require a 4WD even though it was the rainy season. This is something to look into as a couple of times we came across dirt roads and were a little worried about the tires. Although the roads are generally fine as long as you stay on the main routes. Visiting in the early part of the rainy season was fine (July). The tropical downpours are generally over pretty quickly and some days it wouldn't rain at all. Mosquito repellent is essential. Lather it on! If we had more time there was a lot more along both coasts we wanted to see. Some of the beaches we drive past looked incredible. Driving distances were quite long. It is helpful to plan the route and where you want to stop for lunch. We did a Kids Saving the Rainforest tour in Manuel Antonio that had good reviews. We loved the story behind the initiative and it seems like they do a lot of good things. In hindsight, it wasn't worth what we paid as it was very expensive and a local shared with us that it has become more profit-oriented as the years have gone by. Book a guide when doing a rainforest tour. 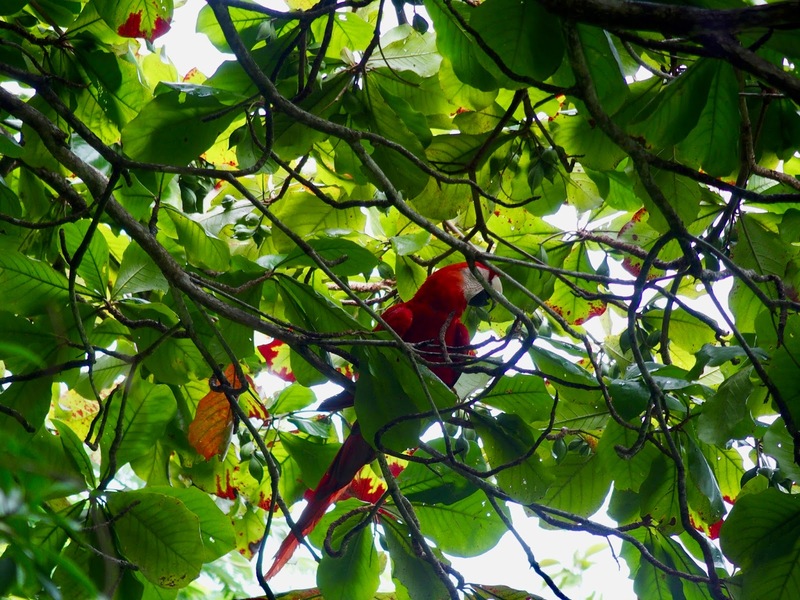 We would have not been able to see half of what we were able to find with our guide in Manuel Antonio National Park. Check the guide is from an official company. We also paid extra for a private guide as the groups can get large and there is only one telescope. If you have your own car, there are a lot of parking scammers who try to make you park 2km before the entrance for a fee. You can drive almost to the entrance. We did not pre-book a guide for the Hanging Bridges and they were all booked. Cute Falafel Bar was delicious, reasonably priced. We had a few visits here. Ecotermales Fortuna was a beautiful thermal hot spring with a waterfall and bar. Arenal is known for its sudden downpours so always be prepared here. There are a lot of things to do here-excursions on Lake Arenal, volcano hikes, and adventure activities. Due to the heat, we were very mindful of making sure Lilah had a lot of fluids. Many of the thermal springs were great with a baby as there were different levels of temperature and also cold pools to cool off in. We usually try to book private tours so that we can go at Lilah's pace. We had rented a car which meant Lilah could nap while we drove some days. You can find everything you need such as nappies, wipes, baby snacks etc at the local supermarket. The ones a little out of town have more reasonable prices. Take some mosquito repellent that is baby friendly. The roll-on ones were best.